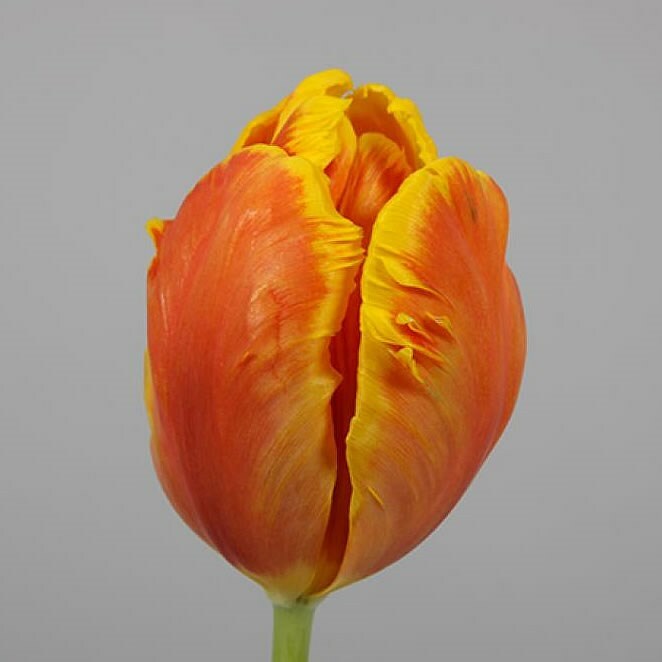 Tulips Bright Parrot is a wonderful orange & yellow two-tone parrot tulip variety. Bright (Parrot) tulips are approx. 42cm tall & wholesaled in 50 stem wraps.